Position: Director of the Center for Consumer Information and Insurance Oversight. CCIIO is an arm of the Centers for Medicare & Medicaid Services, which is, in turn, an arm of the U.S. Department of Health and Human Services. HHS originally called the agency the Office of Consumer Information and Insurance Oversight and wanted it to have the same kind of independent existence that the Employee Benefits Security Administration has at the U.S. Department of Labor. But HHS folded the office into CMS to protect it against Republican efforts to kill it. The latest: CMS Administrator Marilyn Tavenner announced in an e-mail sent to agency employees that Cohen will be voluntarily leaving March 31 – at the end of the first open enrollment period for the individual commercial plans sold through the exchanges. 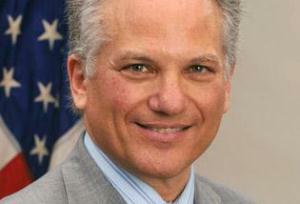 Date signed: Cohen was named the permanent CCIIO director in August 2012. Player Cohen replaced: Steve Larsen, who is now executive vice president for government solutions at Optum, a unit of UnitedHealth Group Inc. This longtime insurance regulatory professional is an alumnus of New York’s Ethical Culture Fieldston School, Brown University and the Stanford University Law School. He earned his law degree from Stanford in 1979. He spent his minor league days as a United Nations program scholar studying the prevention of crime and treatment of offenders in Tokyo and as a partner representing individuals and businesses in complex civil and criminal litigation at the Keker & Van Nest law firm. He also was the general counsel at the California Public Utilities Commission. He entered the insurance regulatory big leagues at the California Department of Insurance, where he served as general counsel from 2003 and 2007 and made a splash by shaping department efforts to target disability insurers’ use of discretionary clauses. From July 2007 through October 2008, he tested his skills in the private sector, as deputy general counsel, vice president and chief counsel at the Fireman’s Fund Insurance Co. unit at Allianz of America, and then as an insurance regulatory partner in the San Francisco office of Sonnenschein Nath & Rosenthal. Then, in February 2009, he returned to the political big leagues as chief of staff to U.S. Rep. John Garamendi, D-Calif. He became director of the oversight unit at CCIIO in June 2010, worked briefly as the general counsel for the state-based exchange that became Covered California in 2012, and returned to Washington to become the CCIIO director that summer. Why another team may pick him up soon: He has 40 endorsements for his insurance skills on LinkedIn.com, including some from the lobbyists who’ve been fighting him tooth and nail on PPACA regs. How he plays the game: “I don’t think that throwing money and people at problems is necessarily the best way to deal with everything… It’s a lot more important to be focused, to think creatively, and to make the right arguments.” From California Lawyer.